Last Tuesday, November 4, the city government of Davao led by Mayor Rody Duterte turned over P150-million worth of items to Central 911. The equipment, which were imported from suppliers of USA 911, include ambulances (five 4x2, five 4x4), one urban search and rescue (USAR) vehicle, one USAR troop carrier, two firetrucks with a capacity of 2,000 liters, 10 motorcycles, communication equipment, call center equipment, emergency medical services equipment, firefighting equipment and USAR gears, according to the Philippine Information Agency. Among the procured items is the P2-million Hyperspike Acoustic Hailing Device, the first in the Philippines. The AHD and all the other brand new equipment will be utilized to further enhance Davao City's emergency response capability, the PIA added. 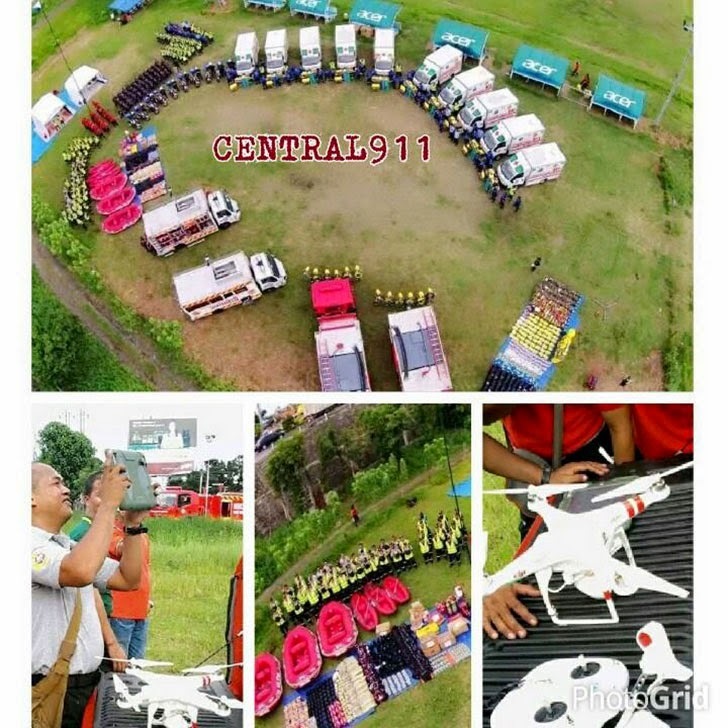 What was excluded in the released photos is Davao City Central 911's hi-tech drone, which can be used in aerial surveillance during or after calamities, disasters, fire, or as the need may arise. Facebook user Celso Concepcion shared a photo collage showing the drone and some of the shots it snapped during the turnover ceremony at the Tiongko Football Field. A certain Leo Melitado posted that Davao's drone is equiped with a high definition (HD) 360-degree angle camera that will capture photos and record video.